Renewal Day is an absolutely spectacular day. It’s a day of new, and old, beginnings. Things get old and out of sorts. We lose touch with friends, loved ones, and relationships. For whatever reason, we “let “it” go. Well, whatever “it” is, today is the day to renew it, rejuvenate it, and bring the spark back into it. When we think of “renewal”, we often think of relationships. We vow our marriage will never get old. But, it does. We swear we will remain close to our parents and siblings. But over the years, we don’t. With a hug and a tear, we tell our college roommate we will call and write. All too quickly, the demands of everyday life keep us from calling or writing. …get the picture? Get the picture? Good. Now, get into Renewal Day! Our research did not find the creator or the origin of this day. There are many references to Renewal Day for certain events, activities and/or relationships. They are for all sorts of reasons and set on dates all over the calendar. 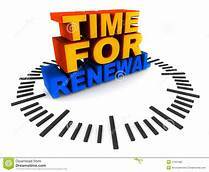 Today is the only general Renewal Day, intended for any and all kinds of renewals. It’s all because of a play on words! Better still, have a Star Wars marathon, and watch two or three (or 4) of them. Get out your laser sword and practice for the next invasion from the Evil Empire. Send a Star Wars day Ecard- of course, they have them! Have a Star Wars costume party. 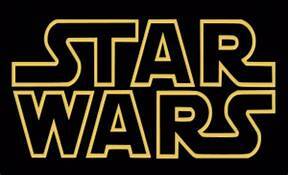 Learn some Star Wars Trivia, there’s no shortage. Space Day gives you the opportunity participate in the excitement and fascination of space. It’s a topic of interest to millions, old and young alike. It’s a topic as broad as the universe. Originally started to get America’s youth interested in math and science, Space Day focuses on creating an interest and awareness of all kinds of topics and issues related to space. This holiday caught on quickly and became wildly popular. On this day all kinds of space-related organizations, groups, and agencies hold celebrations, demonstrations, and educational programs. Don’t miss the opportunity to celebrate Space Day. Find an event near you and …go! Visit a science center or observatory. Get out your telescope and view the heavens. Watch television documentaries on space. Make this a fun day and create your own celebration with your kids or in the workplace. Teachers… don’t miss creating a special lesson plan for today. The kids will love it. 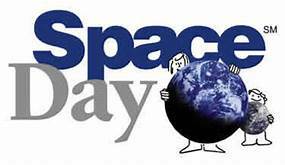 Space Day was created by Lockheed Martin Corporation in 1997. The goal was to motivate the youth of America to study math and science. This day was originally established as a one-day event. An exciting topic of interest to millions, Space Day became an annual event. 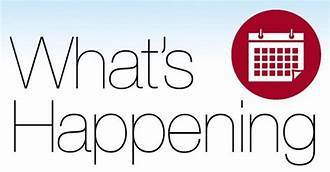 http://arcadiawindber.com/wp-content/uploads/2018/05/Whats-Happening-Clip-Art.jpg 172 330 Windber Arcadia Windber Arcadia2018-05-04 16:09:442018-05-07 15:52:53What's Happening Today?